continuously conducted. These two passive MASW methods utilize those surface waves generated passively from ambient cultural activities such as traffic. Fig. 1. 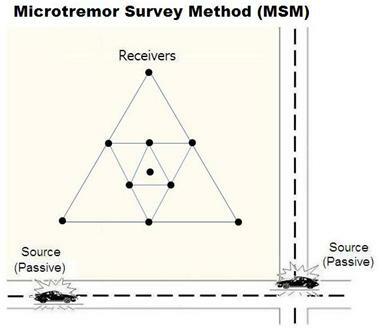 Typical field layout for microtremor survey method (MSM). transformation methods, which are more appropriate for the higher-definition multichannel recording.